Aren’t You Tired of Ambiguity? 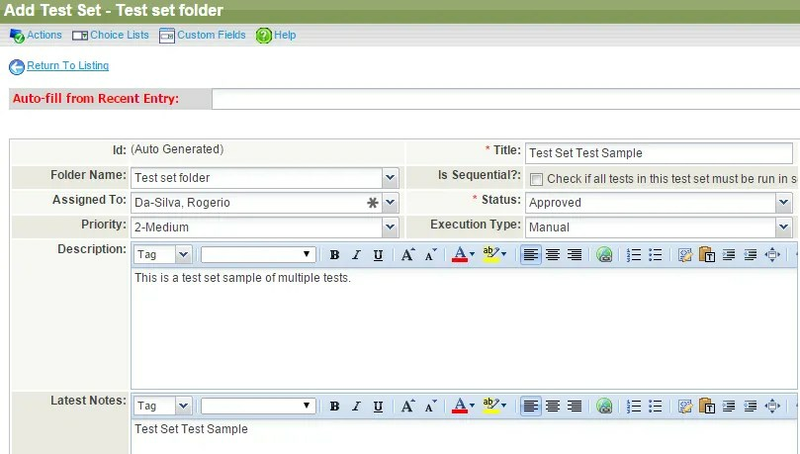 To create a test set you need multiple test cases already created in your ‘Test Library‘. If you have not create test cases go to Test Case Creation and Trace-ability before attempt to create a test set. Navigate to ‘Test Management‘ tab. 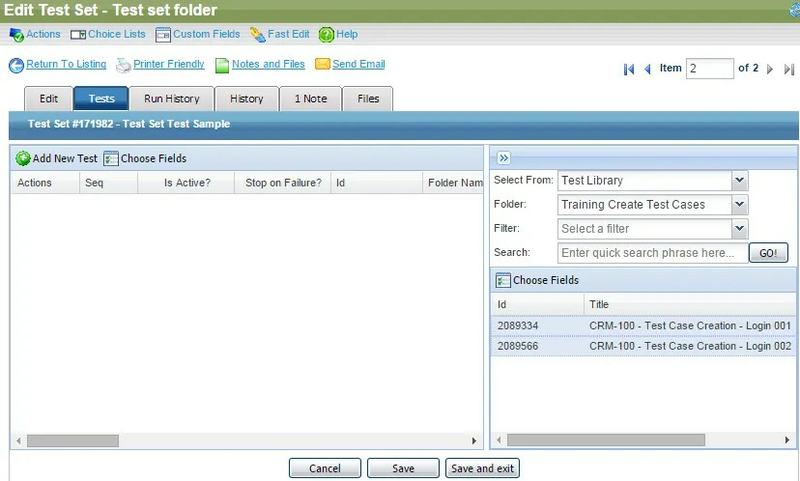 Create or select an existing folder to store your test sets. Add test set screen / workspace. Select and add as much information you can. You will then be redirected to the second screen to add test cases from your test library. 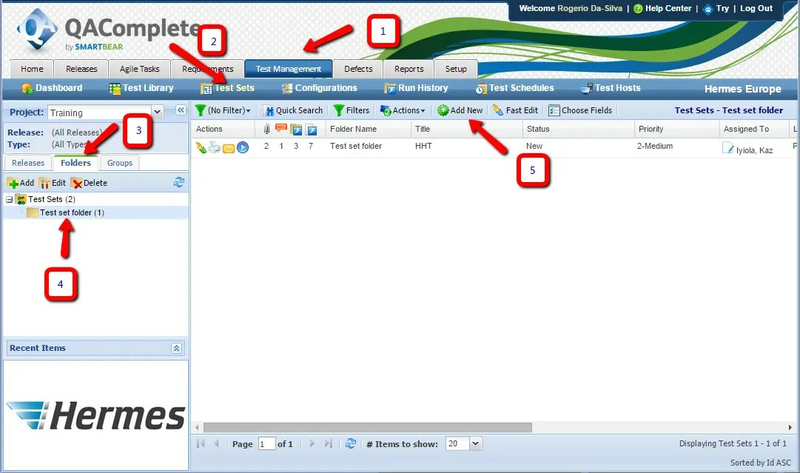 Select the folder from the right hand side of the screen. A list will be showing on the lower right hand side of the screen, select, click and drag them to the left side of the screen. You can select multiple test cases. Once your list is populated, click ‘Save‘ and you now ready to run the test set. 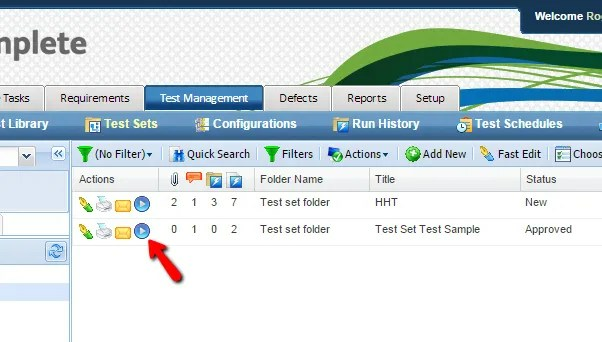 To run a test set, click on the ‘blue play‘ icon as indicated on right image. A pop up window will display the list of test cases under the test set. 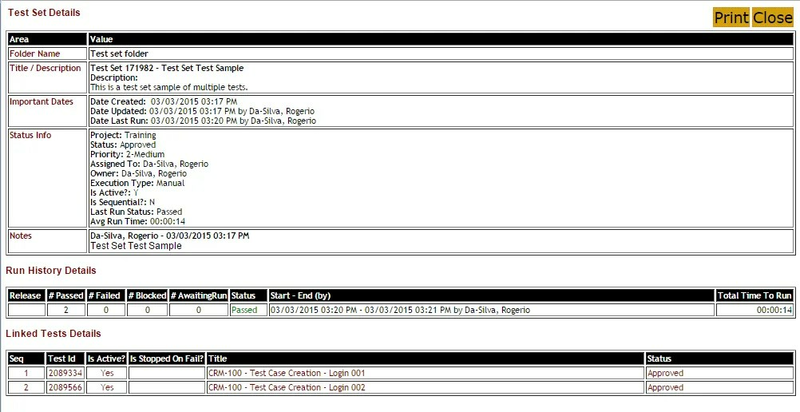 Once the test set run is complete a summary with the test result is displayed. On failed test you will be asked to raise a defect, read here about Raise a Defect in QA Complete. If you intend to send an email, see more details and screenshots samples in Run a single Test Case. Interested? Ask me how we can help. When is Time to Get Going? Implementing Agile is Tough without a Scrum Master. Here’s why? How to prevent GMail from converting text to URL? Copyright © 2019 Rogerio da Silva Blog. All rights reserved.